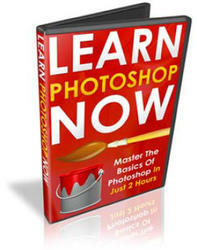 Photoshop gives you several options for controlling the appearance of your margins. In the "Taking control of your text with palettes" section earlier in this chapter, I outline a number of options that you can find on the Paragraph palette menu. But let me go into more detail about a couple of options that you have when adding paragraph type. Perhaps the most important decision (other than font and font size) that you make when preparing paragraph type is a choice of alignment or justification. When text is aligned left, the left margin is perfectly straight, and the right margin is ragged, with each line ending where it ends, without any relationship to the lines of type above and below. A column of text that's aligned right has a clean right margin and a ragged left margin. If you choose center aligned, the middle of each line of text is centered. 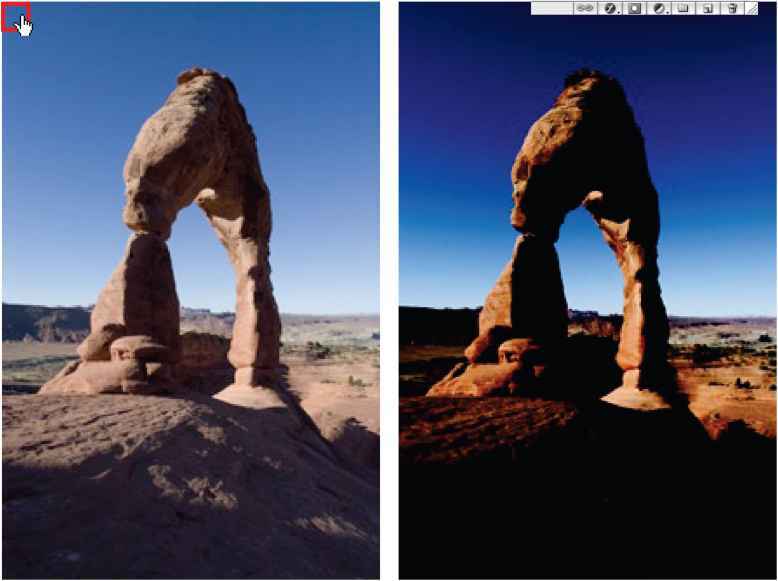 Take a look at Figure 13-18 for a visual comparison. Figure 13-18: Compare the left and right margins of each column of text. Unlike alignment, justification gives you straight margins on both sides of the column of text. The four justification options at the top of the Paragraph palette differ only in how they treat the last line of a paragraph. 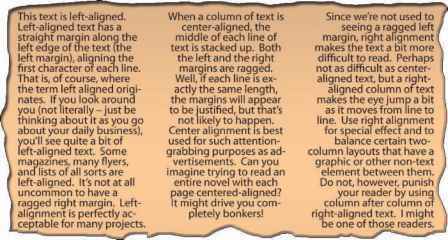 As you can see from the Paragraph palette buttons, the last line can be independently aligned left, center, or right; or it can be fully justified, spreading the last line from margin to margin. You shouldn't use the fourth option unless that last line (of every paragraph) is rather full because it looks rather strange when just a couple of words are stretched edge to edge.